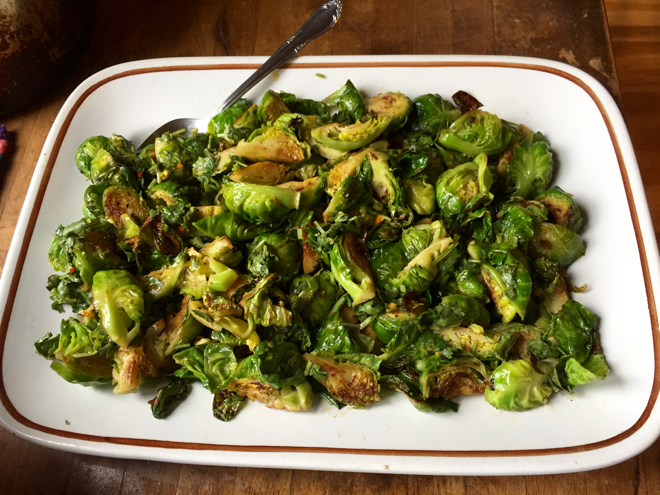 Brussels sprouts are a delicious and nutritious vegetable we typically savor from November through February in our region. 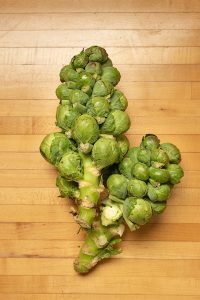 They are a cultivar of the same species as cabbage, in the same family as collard greens, broccoli, kale, and kohlrabi. The tender, miniature cabbages are delicious both cooked and raw. They are a bit finicky to clean, but it really only adds a few minutes of active time to trim them and remove any outer leaves that are wilted or browning. Brussels sprouts, like cabbage, keep well in the fridge stored in a plastic bag.